Musician Magazine calls him “the most powerful blues guitarist in the world.” He has won awards from the Montreaux Jazz Festival, the French Academie du Jazz, and the Memphis Blues Foundation, and received three Grammy nominations. He is known as “The Icepicker”, “The Master of the Telecaster”, and “The Houston Twister”. 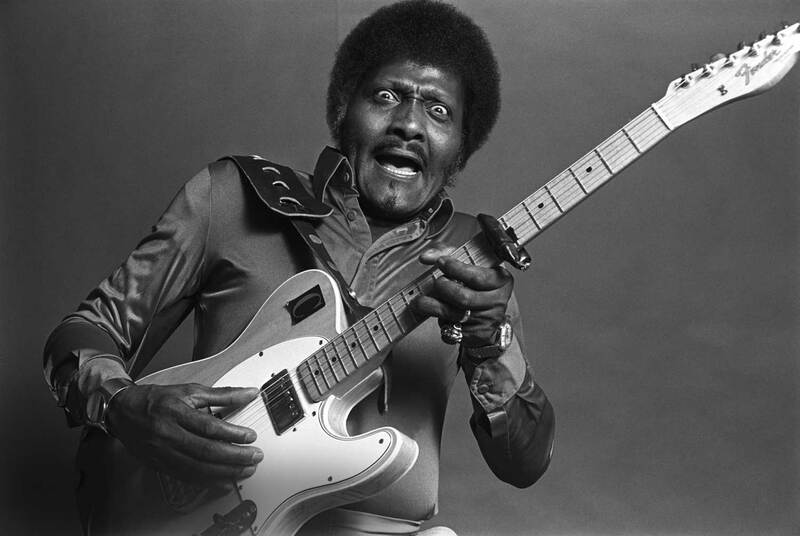 His real name is Albert Collins, and he’s coming to the Town Pump for two nights, Friday and Saturday, September 27 and 28. Collins was born in a log cabin on a farm near Leona, Texas, in 1932 (he’ll be 53 this Wednesday). Strangely enough, blues was not his first musical calling, as he pointed out in a phone call from his home in L.A.
Texas bluesmen such as T-Bone Walker, Guitar Slim, Gatemouth Brown, and Johnny Guitar Watson also had an early effect on Collins, and later on he absorbed the Chicago sounds of Elmore James, B.B. King, and Howlin’ Wolf. In the early ’60s his instrumental recordings–“Sno Cone”, “The Freeze”, “Icy Blue”, and the million-selling “Frosty”–became known as “the Cool Sound”. In the mid-’60s, following a move from Texas to California, Albert released three albums on the Imperial label, produced by members of Canned Heat. Those albums won him a regular berth at the Fillmore West in San Francisco and an endless series of gigs from San Diego to Vancouver. He first played here in 1969, at Rohan’s Rockpile. So which blues artists does Collins appreciate himself nowadays?